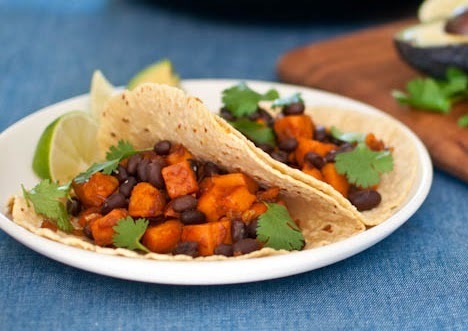 A healthy, vegan version of a Mexican food favorite! Who said you can't enjoy good food AND eat well? 1. Place the cooked black beans in a serving bowl, sprinkle with sea salt if desired. 2. Peel the cooked yam and place it into a serving bowl, mash with a fork. 3. Place the mashed avocado into a serving bowl. 4. Set the lettuce leave and tortillas onto a platter. 5. Let each person assemble his or her own taco. Chocolate Covered Strawberry Shakeo Style! A Few Clean Eating Principles!